Whyte bikes exists to free ourselves from the rest of the world and leave our worries far behind. We started 19 years ago with just one bike, but that one bike was loaded with more radical innovation than the entire ranges of most manufacturers. We created a massive impact, we reset some benchmarks, we learned some lessons. The biggest one was that if you have the best bike designers working with total freedom you can create something amazing. It started a string of perfect review scores that’s stronger than ever today with our T-130RS storming to an undisputed Trail bike of the year award and the T-130C, T-129 and 900 series bikes also earning perfect scores from the MTB media. 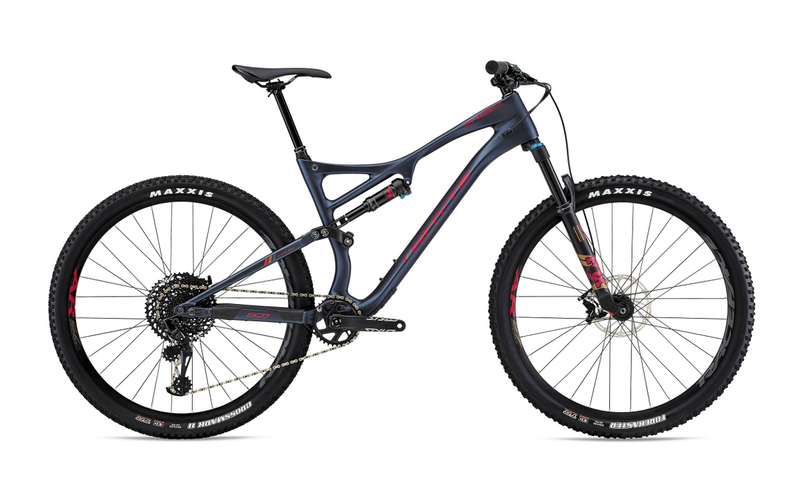 The new T-130 takes the playful, do-it-all attitude of its award-winning predecessor and massively updates it with more capable suspension, latest generation Whyte OTO geometry and sleeker packaging. SRAM’s Eagle GX 12 speed drive-train is used on the T-130 C RS. This 500% range 10-50 cassette allows the chainring to be increased to 32t, giving both top and bottom range improvement. With a brand new carbon frame, the T-130 C R brings our best and latest frame to you at an affordable price. We have used the new NX Eagle drive-train combined with RockShox’s excellent Revelation Fork with Debonair and Charger damper. The Multi Award Winning T-130 takes the playful, do-it-all attitude of its award-winning predecessor and massively updates it with more capable suspension, latest generation Whyte OTO geometry and sleeker packaging. The Eagle GX groupset is fitted to the T-130 giving it all the benefits of their massive 500% gear range and allowing Whyte to increase the chain ring size without sacrificing the lower gearing size. The new T-130 takes the playful, do-it-all attitude of its award-winning predecessor and massively updates it with more capable suspension, latest generation Whyte OTO geometry and sleeker packaging. The SR is our most affordable spec, combining Fox Performance suspension with a Shimano based 11 speed drive-train – the result is a massively capable spec for an affordable price. Our brand new S-120 frame takes everything we learnt from developing the multi-award–winning S-150 suspension system and applies it to this immensely capable new 120mm platform. The S-120 is a perfect replacement for the iconic T129, which gave Whyte its 1st Bike of The Year award. Designed to be an all-round XC//Trail bike from epic marathons to a flat our blast down your local single track, this bike will allow you to do it all. The S-120 geometry was design to have a short 44mm off set fork and this combined with the all new Fox 34 SC gives amazing handling. This fork was designed to be the ultimate Trail 120mm 29er fork. This bike is ready for anything you want to throw at it, from hard-core trail riding to EWS Enduro racing. With its open front triangle design, it is possible to fit various options of rear shock including coil shocks and still carry a full-size water bottle. The G-170C Works 29er has extra width built into the rear chain stays allowing the rider to fully exploit future developments in wide high-volume tires up to up to 29 x 2.5″ and maintain mud clearance. 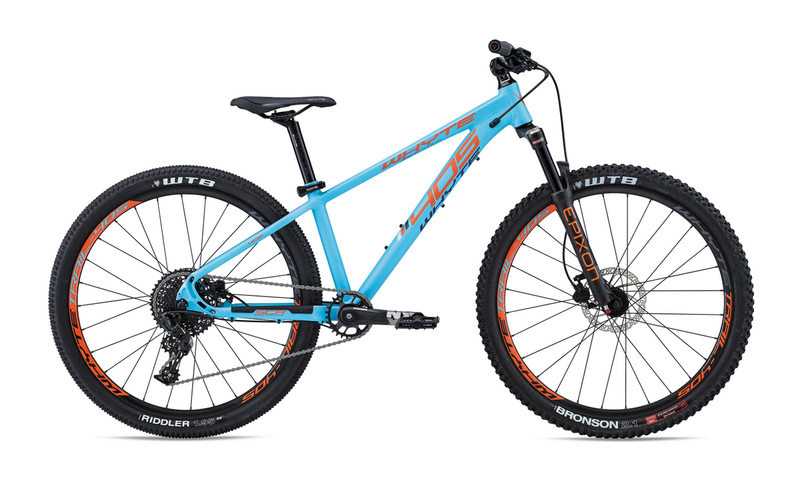 When the Whyte Gravity Enduro team are not racing the 27.5″ bike it’s because they are riding the 29er version. The G-170 was always designed with both wheel sizes in mind – this modularity gives us the ability to offer both wheel sizes to suit your style. This bike will not only be raced by our Gravity Enduro team – it was actually designed in conjunction with them. Their input to the geometry, combined with the new carbon front triangle and oversize hardware, adds up to a very stiff and capable chassis. This bike is ready for anything you want to throw at it, from hard-core trail riding to EWS Enduro racing. With its clever open front triangle design, it is possible to fit various option of rear shock including coil shocks but still carry a full-size water bottle. The RS uses the same highly developed frame as the Works bike which our team race on. 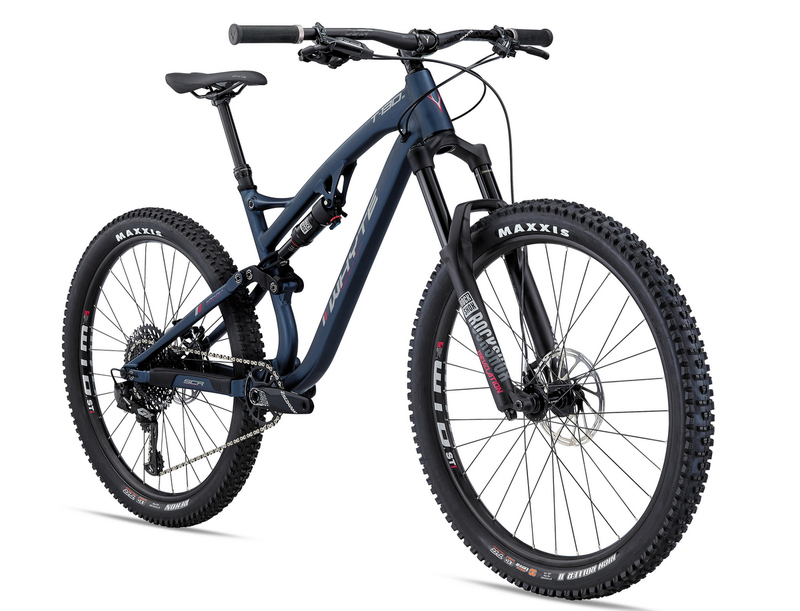 The parts are picked to make the most of this frame – from RockShox suspension to the brand-new Eagle GX groupset, the RS is everything a modern long travel bike should be.The G-170 has extra width built into the rear chainstays to allow the rider to fully exploit the future developments in wide high-volume tires but maintain mud clearance. The G-170 S scored a perfect 10/10 with MBR in 2018. The new model features a shorter 37mm offset and a 180mm travel fork to make this bike even more capable and ready to take on anything you throw at it. The G-170 S has extra width built into the rear chainstays allowing the rider to fully exploit future developments in wide high-volume tires up to 27.5 x 2.8″ and maintain mud clearance. The S is loaded with the very latest developments in Enduro/Trail bikes. WTB ST i29mm 2.0 rims combined with TCS front and rear specific tires help to give neutral handling without too much drag. Our Whyte Enduro team have a secret weapon – the S-150 Works is their “out of the box” race bike for the more all-round events. Already there have been wins at the UK Masters National Championships and we are sure this is just the beginning for this great all-round bike. With its all-new sculpted carbon front triangle, the RS certainly looks the part. Add Eagle GX, the brand new Rockshox Pike and Deluxe suspension and you’ve got the fastest trail bike we’ve ever made. S stands for Switch – the ability to fit 650b wheels with 2.8″ tires and still have UK levels mud clearance. Whyte wheel kits are ready to switch into your bike in the time it takes to go back to your car and change the Eagle cassette. Both Carbon & Alloy wheel kits are available. The S-150 was built around the SRAM Eagle concept. With its huge 500% gear range Eagle GX helps you make the most of the S 150 S – both in the speed it climbs and the ability to get pedal strokes in, as well as a big top gear for the descents. 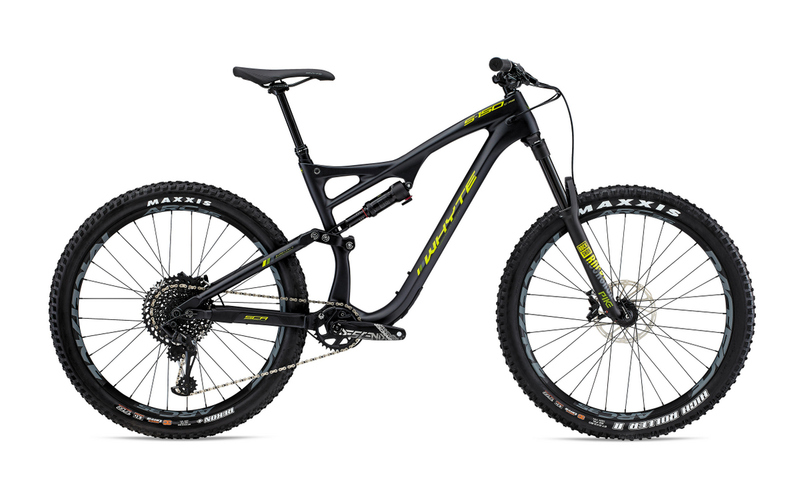 The 905 defines the modern Trail Hardtail. A stripped back SCR frame and new RockShox Revelation forks (with Charger damper and short 37mm offset) combine with 2.8″ tires to make this 905 the best yet. The 905 brings ideas directly from our Whyte Enduro team, from the thicker V-Grips to the use of 170mm cranks, which bring the rider 5mm closer to the ground without compromising pedal clearance. With the 901 it’s all about the geometry – it will make you feel more confident in all situations than any hardtail you’ve ever ridden. The latest 901 comes fitted with exactly the same frame as the 10/10 award winning 905 frame. The 901 rides on 2.8″ Maxxis high volume TR 3C compound tires which combine with the WTB ST TCS 2.0 i35 rims to create more comfort, more control and more fun. We’ve broken the mold with our kids’ bikes. By putting 26″ wheels on a kids MTB we’ve given a boost in performance similar to an adult switching to a 650b/27.5″ Trail Hardtail. More confidence, more control and easier riding. With SRAM NX 1 by 11 spec and a trigger shifter the 405 really is a scaled down version of our award winning 900 series bikes. We have speced a XSYNC Direct Mount chainring so multiple chainrings are available to tune this bike to the size of the rider. Fantastic, but when will these be available for purchase? Thanks for all the details!